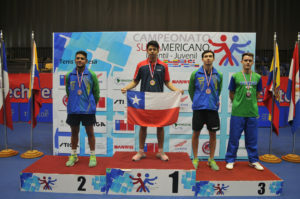 Titles on offer on the penultimate day of play, Sunday 17th March, at the 2019 South American Junior and Cadet Championships in Santiago, Chile; it was a day of success for the local players. Three gold medals finished in the hands of the host nation, Nicolas Burgos and Valentina Rios being centre stage. 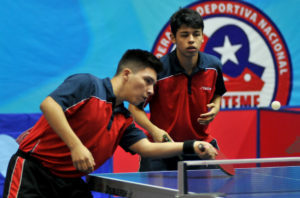 They joined forces to win the junior mixed doubles event, after earlier in the day Nicolas Burgos had partnered Andres Martinez the junior boys’ doubles gold and Valentia Rios had combined with Jersusalen Flores to secure the junior girls’ doubles top prize. 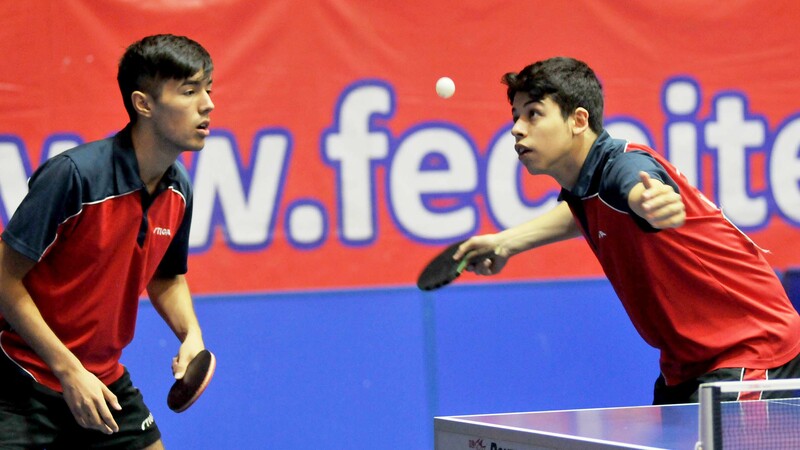 Notably on each occasion, the Chileans commenced play, the second seeds. 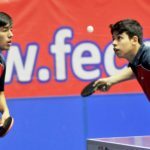 In the junior boys’ doubles event, at the final hurdle, Nicolas Burgos and Andres Martinez accounted for Argentina’s Santiago Lorenzo and Matias Vilarde, the no.3 seeds (11-5, 12-10, 12-10), after at the semi-final stage having ousted Peru’s Adolfo Cucho and Felipe Duffoo, the no.4 seeds (11-5, 11-3, 11-8). Impressively, Santiago Lorenzo and Matias Vilarde had recorded a penultimate round success in opposition to Peru’s Rodrigo Bejarano and Jhon Lou, the no.6 seeds (11-9, 11-9, 11-13, 11-8), the pair who the previous day had caused a major upset by recording a quarter-final win in opposition to Brazil’s Guilherme Teodoro and Rafael Torino (11-8, 11-6, 9-11, 15-13). Success for Nicolas Burgos and Andres Martinez; at the same time, it was success for Valentina Rios and Jerusalen Flores. After overcoming Paraguay’s Leyla Gomez and Cielo Mutti, the no.3 seeds (9-11, 11-5, 11-8, 12-10), the Chilean duo upset the order of merit to clinch the title at the final expense of Brazil’s Tamyres Fukase and Livia Lima, the top seeds (3-11, 11-6, 12-10, 10-12, 11-8). Two titles secured, a third made it a junior clean sweep. Nicolas Burgos and Valentina Rios beat Peru’s Adolfo Cucho and Alessandra Cisnreros, the no.7 seeds, to claim the mixed doubles top prize. A straight games victory margin (11-6, 13-11, 11-2), as in all previous rounds, was the end result against a pair who had continually upset the odds. 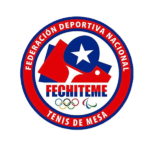 After ousting colleagues, Andres Martinez and Jerusalen Flores, the no.4 seeds, at the quarter-final stage (8-11, 11-7, 11-7, 8-11, 11-6), they secured their place in the final courtesy of success in opposition to Brazil’s Guilherme Teodoro and Livia Lima, the top seeds (8-11,11-8, 9-11, 11-3, 11-8). 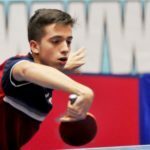 In the counterpart semi-final, Nicolas Burgos and Valentina Rios had beaten Argentina’s Santiago Lorenzo and Muriel Hamil, the no.3 seeds (11-6, 11-3, 11-8). Play concludes on Monday 18th March, the medallists in the junior boys’ singles and junior girls’ singles events being decided.